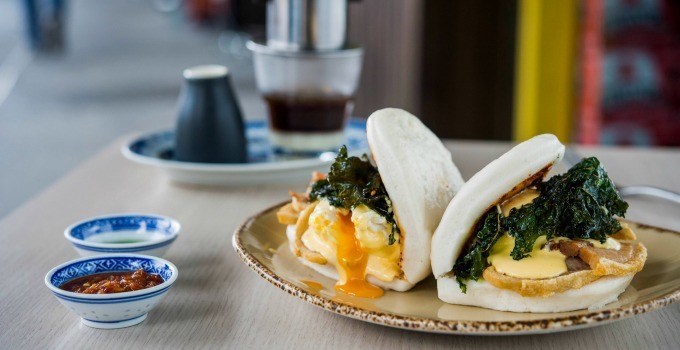 Bao down to brunch at Chop Chop Changs! 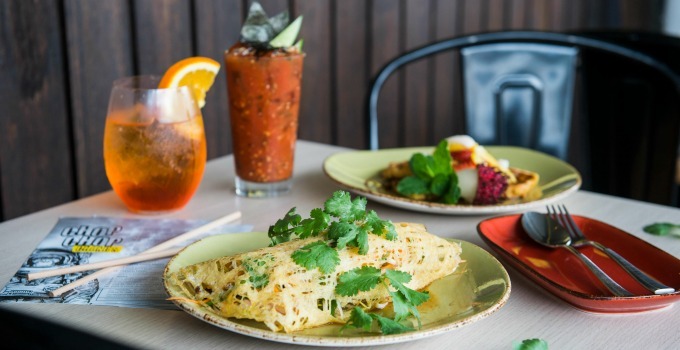 What is about Australians and brunch? If you can smash it, season it and serve it with coffee (or a cheeky Bloody Mary) we’ll bend over backwards to get a taste of that sweet in-between-meal. But let’s be real, we’ve had every variation of smashed avocado, French toast and eggs benny – right? Oh, faithful readers, how very wrong you are. Throw out the bacon and add a side of king mushroom yakitori to your dish – we’ve got the fusion brunch you’ve been waiting your whole life for, and it’s coming at you hot from Chop Chop Changs. Craving some familiar breakfast flavours? Forget about feta on your avo toast – we’re having ours with wasabi and lime on a cheeky bao bun. Want to sweeten up your Sunday? We can’t look past the glazed mango and strawberry French toast with coconut ice-cream. MERCI! Need something a little stronger than a flat white with your breakfast? Don’t worry, we had a big night too and we can’t look past adding a Pimms or Bloody Mary to our order from 10am – zero judgement. Chop Chop Changs has quickly become our go to for group brunching – and with so many gluten free and vegetarian options, even your fussiest friends will be taken care of. So cancel your Uber Eats order (we all know it was maccas), put on some pants and make like The Petshop Boys and head west. Brunch is served. - The hipster Gourmand in search of the latest brunch.